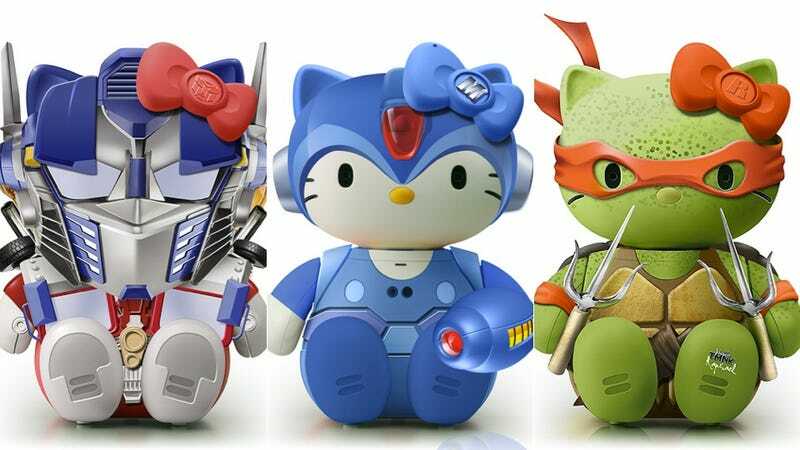 One of the ways Hello Kitty stays relevant is to turn itself into a feline billboard to promote other things. Recently, that's meant the birth of an array of interesting Kitty-chan collaborations—like a Hello Kitty X Ringu tie-up that was used to promote the horror series' latest spin-off. Artist Joseph Senior goes one step further—and has done so for several years. Senior, who is an illustrator at a New Zealand ad agency, creates dream Kitty-chan collaborations, such as putting the famed cartoon kitten carbonite or an Ultraman suit or a Daft Punk outfit. With the way Hello Kitty cross promotions go these days, I wouldn't be surprised to see some of collaborations Senior parodies brought to life. I wouldn't mind, either.